Genesis Cloud Firewall « Genesis Telecom Ltd.
Genesis’s Cloud Firewall is simply the best way to protect your business. Our Cloud Firewall solution enables complete and secure use of your network by blocking access to inappropriate content across the Internet, preventing unapproved access into your business’s network and stopping downloads of infected files or applications. 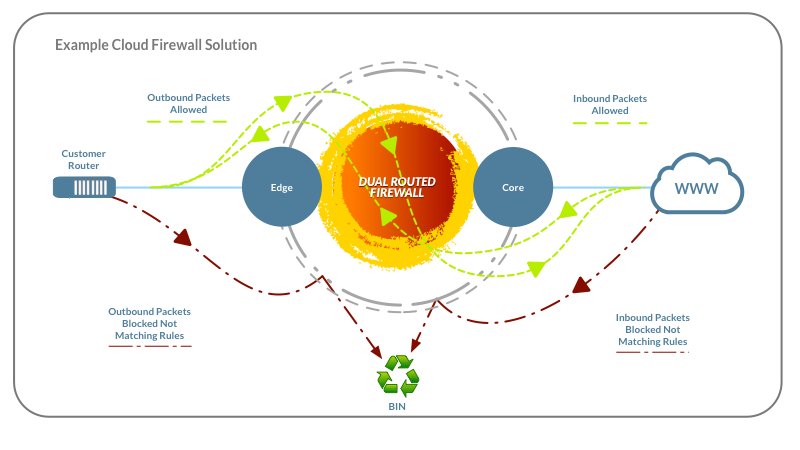 Genesis’s Cloud Firewall is built to be integrated with Genesis connectivity so you can achieve all of the requirements needed to protect your business from today’s internet based threats whilst achieving a lower cost of ownership and greater security. By utilising Genesis’s Cloud firewall you can maintain control of your own security whilst leaving asset management, maintenance and firmware updates to us. It is also compatible with all our internet connection options meaning you can use our highly available cloud firewall cluster on a context basis whether you have a MPLS network with us or just a singleton connection. Secure web based access enables you to take control if you don’t require Genesis to manage your cloud firewall for you. With our cloud firewall you no longer have to worry about the cost of deployment and management of firewalls for multiple business locations and can rest assured that your business is always protected. To learn more on how our Cloud Firewall can help your business better protect itself please call us on 0843 504 4180 and we will be happy to help.